Experts gathered at a workshop in Hanoi on June 15 to discuss activities to adapt to climate change in the agricultural sector to implement the Paris Agreement. Vietnam pledged to cut down eight percent of greenhouse gas emission by 2030 compared with normal development. The target will be 25 percent if Vietnam receives support from the international community. To realise the climate change targets, Vietnam will need about 30 billion USD from the State budget, international support and enterprises at home and abroad by 2020. According to the Ministry of Agriculture and Rural Development (MARD), the agricultural sector accounts for 38.5 percent of the nation’s greenhouse gas emissions. Of which, rice cultivation makes up more than 50.5 percent. The Paris Agreement aims to shift to green production and consumption models and promote renewable energies, MARD Deputy Minister Hoang Van Thang said. 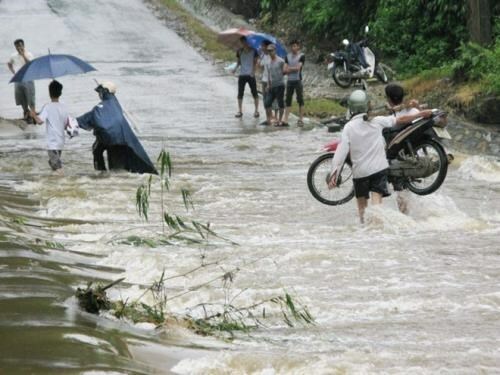 Over the past 15 years, Vietnam has witnessed increasingly severe impacts of climate change, such as prolonged and widespread floods. Agricultural production has suffered from direct impact to 32.2 percent of total agricultural land.